It's as bad as everyone feared. After three years of pestering Oculus co-founder Nate Mitchell, I finally know when the Oculus Rift will launch. And how much it’ll cost. It’s a bit of a relief, really—the start of the next chapter in virtual reality. The pivot point where virtual reality either becomes “The Tech of the Future” or is relegated once again to bargain bins and backroom collections until 2035 or whatever when people decide it’s time to try again. Big moment. Enjoy it. 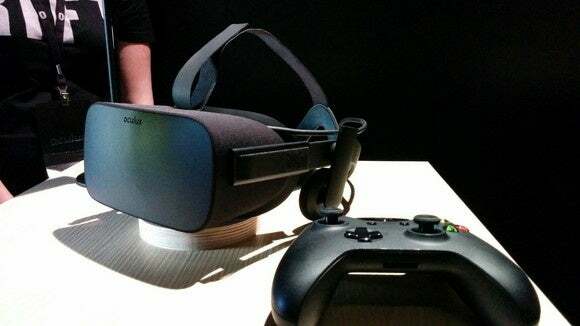 Savor this last minute in a world where you don’t know how much virtual reality will cost, this one last second where you can believe the Oculus Rift will be affordable. Wait, the Oculus Rift is going to cost six hundred dollars? Wow. Wow. Oculus had sort of been backing away from its original claims that the consumer Rift would ship between $200 and $400, but I didn’t expect them to practically double the price. No wonder Palmer Luckey said there was “No chance” Rift preorders would sell out. It’s a hell of a morning to be an early adopter. As for the release date, it looks like the first Rifts will begin shipping in March. There’s no firm date yet, but I expect we’ll hear when those early units go out. If you’re interested in pre-ordering (and have the spare cash) you can head here. And that’s it. The Oculus Rift is now a known quantity, and it will cost you $600. Now we wait and see whether the HTC Vive or PlayStation VR is more affordable.